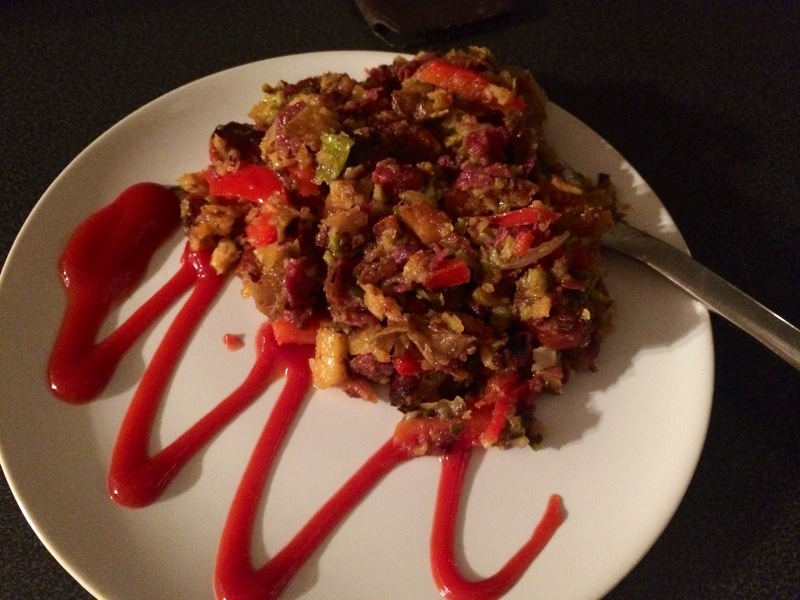 That super treat made by over cooking a previous dish.. Bubble is great! 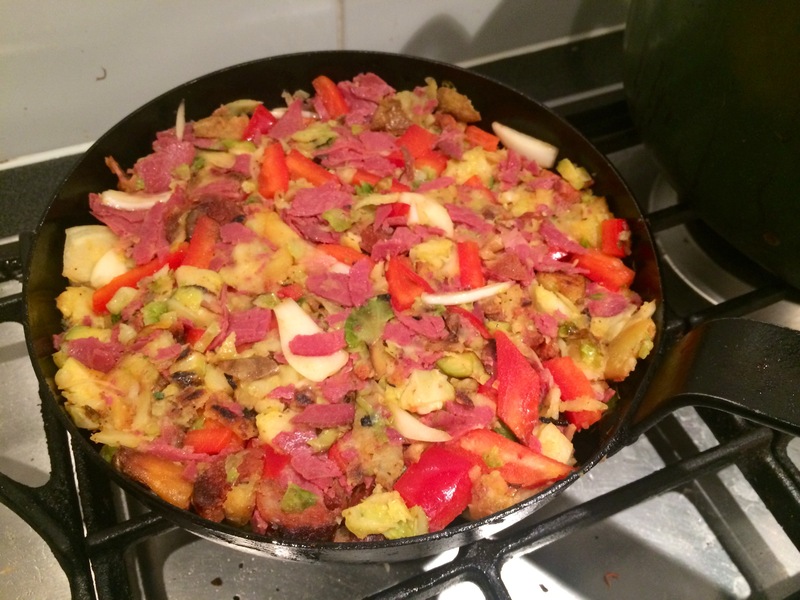 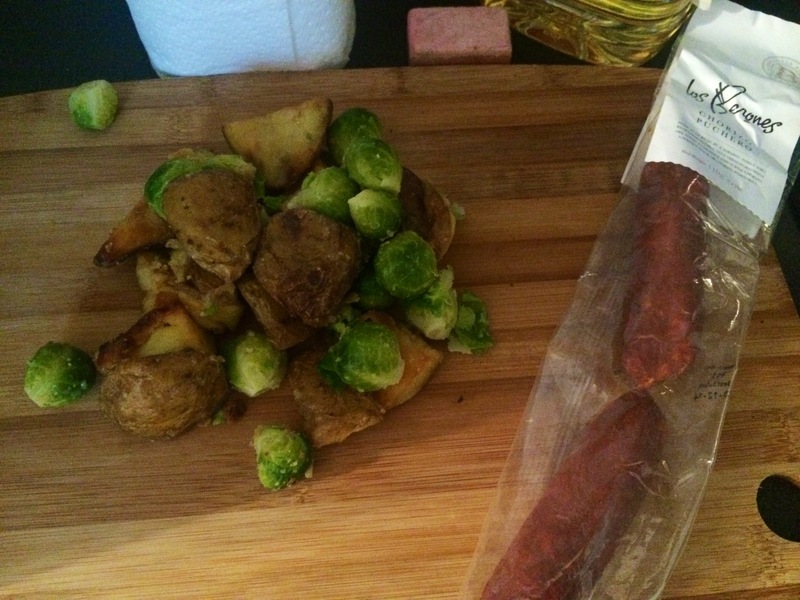 There are so many variations and option for a bit of bubble..
Sprouts and roasties.. 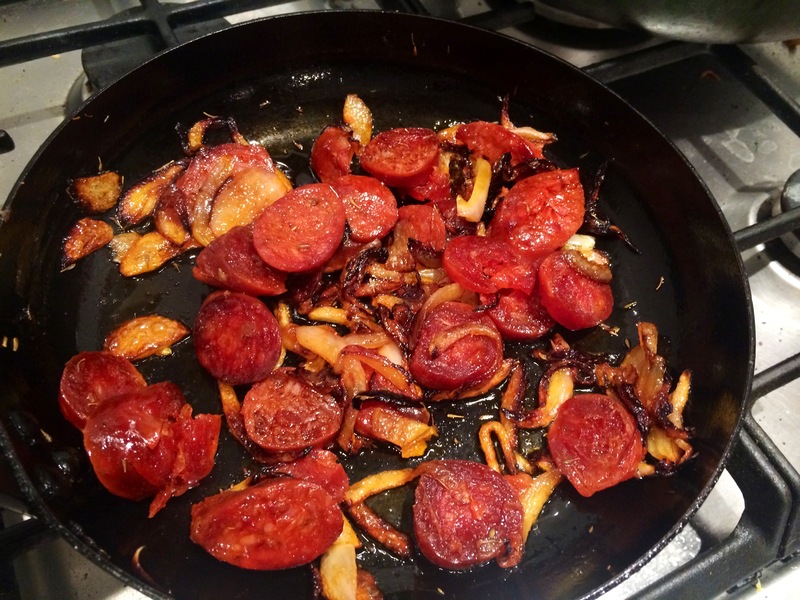 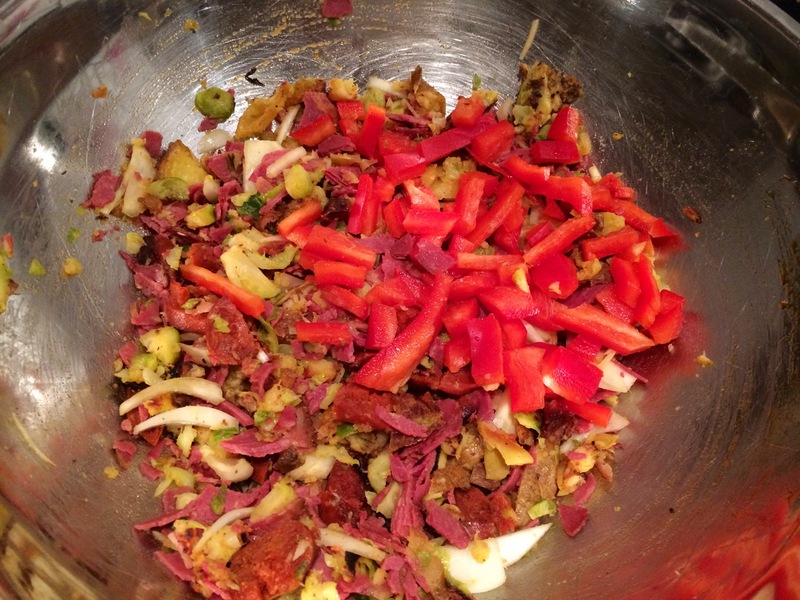 Chopped up with a roscoff onion.. And two small sticks of good chorizo..
Then half a lomo pepper.. Sweet and delicious! 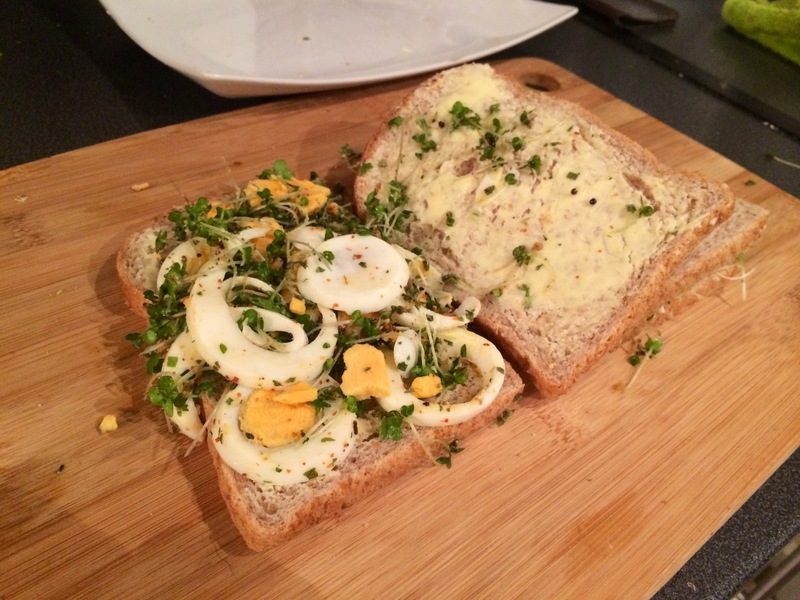 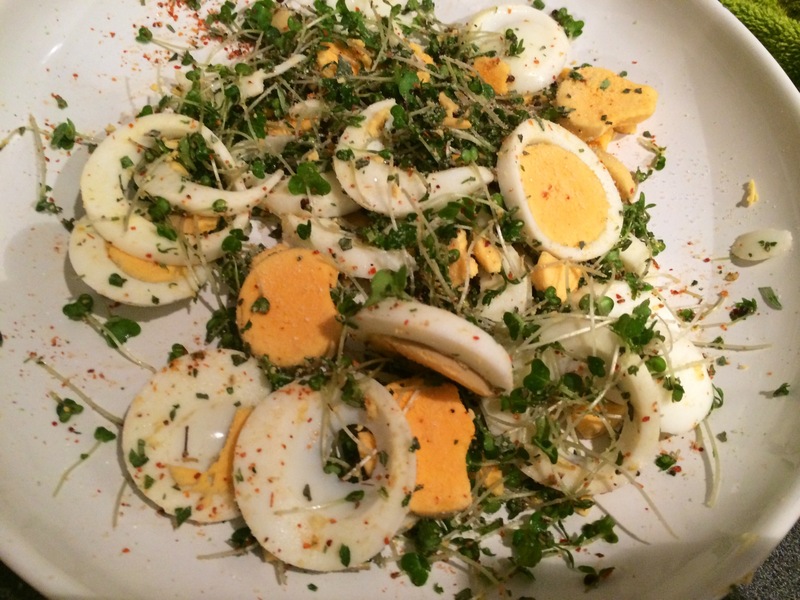 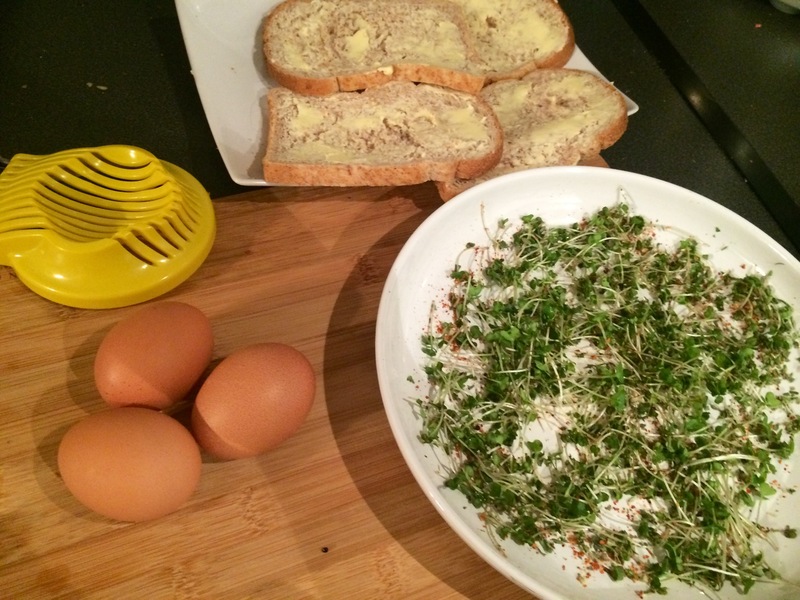 Boiled eggs, sliced.. Mixed with cress and mexican chilli and lime powder..
She seemed happy enough with them..